In 2013 and 2014 Nathan Coppedge believes he found evidence for perpetual motion. In this single, combined volume, Nathan's designs are completely available, along with a somewhat detailed autobiography. 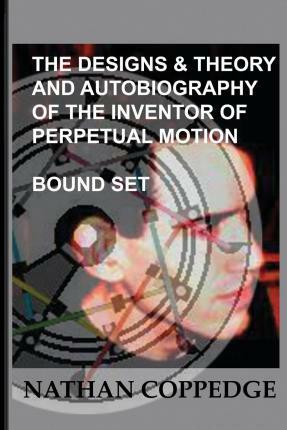 Readers will be pleased to find the majority of Nathan's work on perpetual motion contained within this volume, and may find some of the details of Nathan's early life and adolescence enlightening. This text makes an excellent holiday gift for those who are on the verge of splurging on more than one of Nathan's many published titles. Some adult content is present in the autobiography.